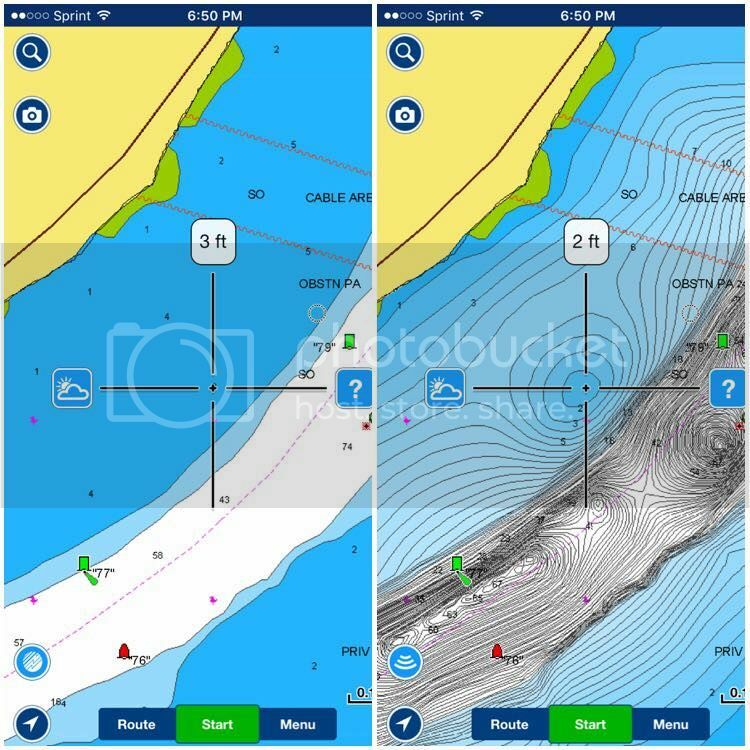 Really cool feature I have been using when Im out on the lake is safety depth feature I found on the Navionics App. So you pick a safe depth like 6ft and the chart highlights everything in white 6ft or deeper and everything 6ft or shallower will be in blue. I found this helpful to be able to determine when I'm approaching shallower water just by the colors.